Time 2:00 p.m. - 5:30 p.m.
Are you interested in discovering more about art creating and sharing with your friends? Why not let your imagination take you over, relieve the pressure from daily work, and enjoy an afternoon of relaxing painting? 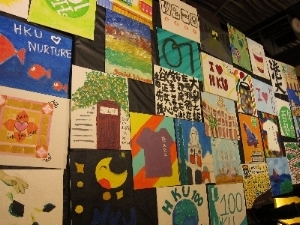 HKUAA Green and Culture Group invites you to have a creative, entertaining and pleasurable painting experience with your friends at HKUAA Clubhouse. Every person believes a long mile to make a decent DIY painting. Yet, with here a bunch of paints and brushes, aprons, and sweet music at such a convenient location in Central, you can get inspired and makes seemingly impossible become possible from your hand. 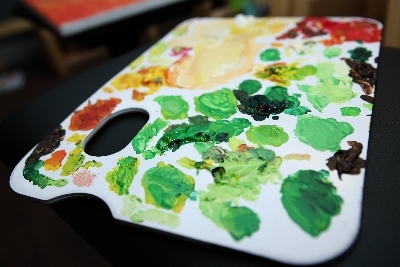 After the painting, you can take your freshly-designed masterpiece away. Show your artistic aspiration, immerse yourself in beautiful paint colors and enjoy the summer romance brought by your own great painting. It's time to enjoy a few hours of carefree creativity on your own or with friends. Act now and join our event! Participants are encouraged to dress casually and wear apron provided by the Hong Kong University Alumni Association Green and Culture Group (the “Group”) before painting to avoid dirt. Wear clothes which can be cleaned easily. The Group will not be liable for damages arising out of or in connection with this event. If you have respiratory illness and/or allergies to painting materials including but not limited to thinning medium, paints and washing-up liquid, please consult doctors before the event. Prepare the picture you want to paint before the start of the event. Freestyle painting is intended to be a Do-It-Yourself activity. If you reproduce any picture, you certify that you have the copyright rights necessary for such reproduction. The Group assumes no liability in copyright disputes. Children under Age 11 should be accompanied by parents or guardians. During the event, please follow all rules and instructions strictly made by HKUAA or the service provider. Please act responsibly and HKUAA will not be liable for any damage, injury or any serious consequences that may be caused. Participants will be assumed to be withdrawn from the event of one's own accord for any activities which violate the instructions or could affect other participants. Except as specifically stated by the Group, to the fullest extent permitted at law, the Group will NOT be liable for damages arising out of or in connection with this event. This is a comprehensive limitation of liability that applies to all damages of any kind, including (without limitation) compensatory, direct, indirect or consequential damages, loss of data, income or profit, loss of or damage to property and claims of third parties.